Become A Very Important Caker! This isn’t your average online cake club, V.I.C. 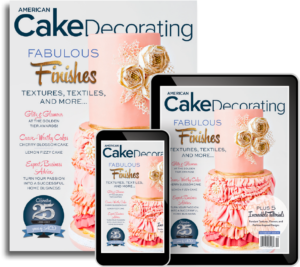 is a network of REAL American Cake Decorating magazine cake enthusiasts; with real-life events, meet-ups, classes, tutorials, demos, recipes and, yes you guessed it, even more! Access over $250 worth of benefits. Exclusive discounts to products and cake supplies, promo. codes and more. Access to premium digital tutorials provided by our sponsors: The Sugar Geek Show, Paul Bradford Sugarcraft School, Avalon Cakes School. Quarterly digital gift, filled with exclusive V.I.C. member only content. V.I.C. advance access: early bird discounts to our Award show, cocktails and canapés soirees; meet with other V.I.C. 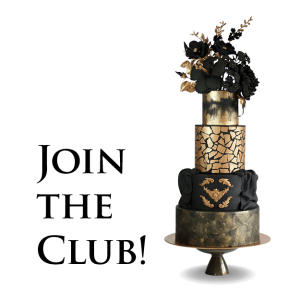 members, watch incredible LIVE demo’s from the best cake decorators in the industry, and best of all- have a cocktail on us! VIC member-only swag bags, loaded with goodies at V.I.C. events. $10 per month, or pay a one-time fee of just $99, renewed annually. All new members will receive a welcome e-mail from our editor, Rebekah Wilbur. A welcome gift from our monthly sponsor. All information regarding access codes, promotional discounts, and exclusive giveaways from our sponsors will be sent via e-mail. Join today and get instant access to premium video-tutorial content from our ACD Instructors! 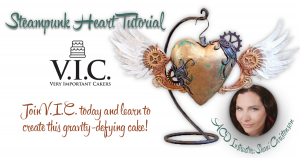 * Note: You must be a current American Cake Decorating subscriber to join V.I.C. Want to become a V.I.C. member?